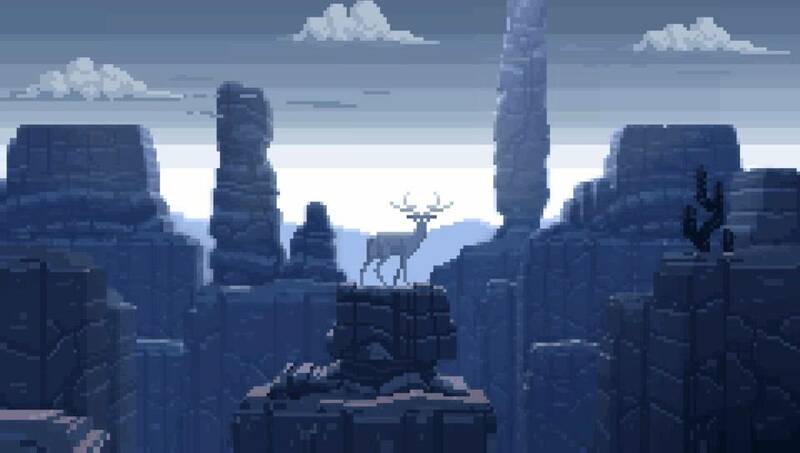 Originally developed by Crecent Moon Games, The Deer God is now available for the PS Vita, thanks to a port done by Blowfish Studios. If the port is any god, we will see in this review. The Deer God tells the story of a hunter who got reincarnated as a baby deer by The Deer God to redeem his bad deeds in his previous life. 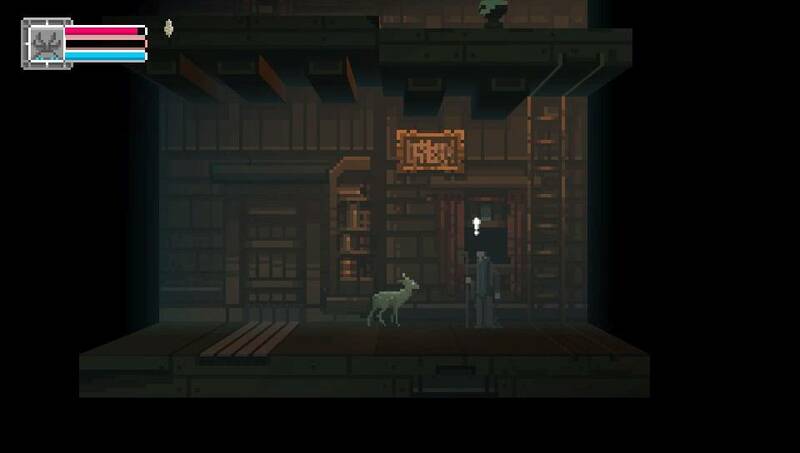 The goal of the game is to survive as long as you can and to explore the procedurally generated world as a deer. You will encounter smaller enemies like foxes which do little damage or bigger enemies like hunter or grizzly bears which are more damaging. At the beginning, you only have a double jump and a dash attack but further on in the game, you will find new skills and also several items. The items which grant extra powers can be assigned in an inventory menu but the handling of the assignment is not very good. First you have to click an item, then you have to move to one of the six assignment squares, and then you have to click again to assign finally an item. An item can only be used one time so you always have to reassign further items if you want to use them. While out in the wild, you always have to make sure to eat, or your health will start to drop when the hunger meter is at zero. This gets very frustrating as often there is not enough food to find. When the hunger meter is at zero, your health bar is like a ticking time bomb and if you don’t find food immediately, you’re about to die quickly. As you start as a baby deer, you have to look for Elders to give you words of wisdom which will grant you new skills when you meet them. 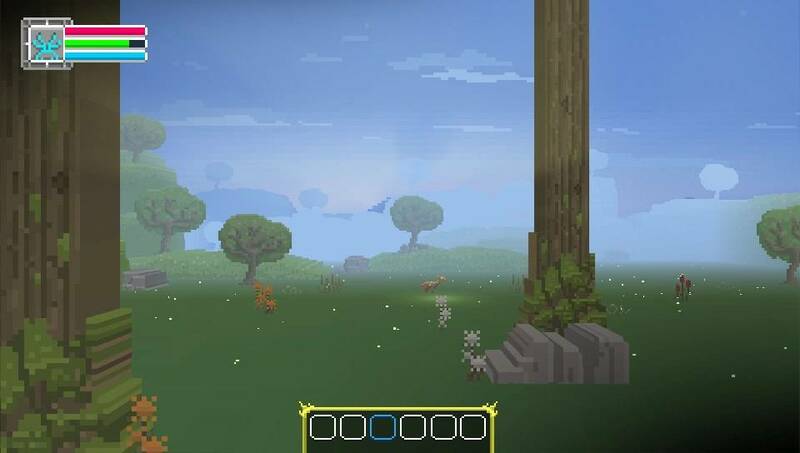 To save the game, you must meet female deer where you will be respawn as a baby when you have died. After some time has passed you will grow into an adult deer. 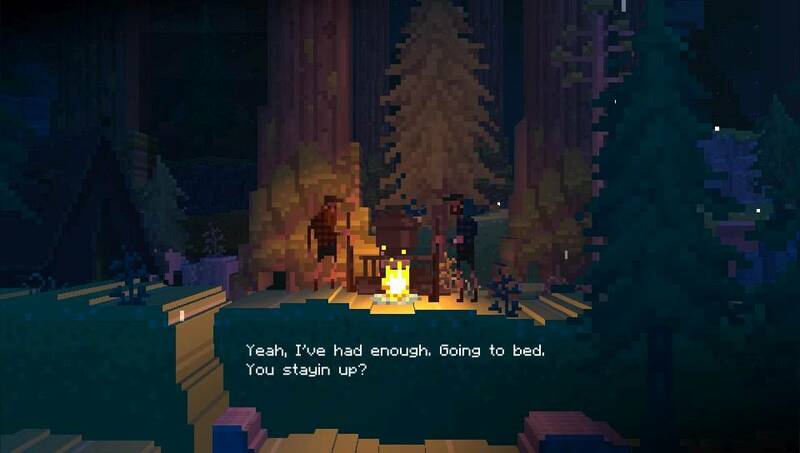 Time passes by solving puzzles, helping others, combat or avoid enemies or eat. Thanks to the patch version 1.02, the technically quality of the game has improved but unfortunately not everything has been fixed. The v-sync errors have been removed but the framerate still stutters every few seconds which is annoying and should not happen in game that lies heavily on scrolling. Loading times are still very long like when you die you have to wait for 30 seconds until you can restart at the last save point. You really need much patience for this game. With the latest patch 1.02, the sound quality has improved as well and only in the intro, there are still some noises which shouldn’t be there. The previously problems with the music that it was only played in mono has been fixed and now you can enjoy the soundtrack in stereo quality. And I must say with the recent fix, the music is really enjoyable now. 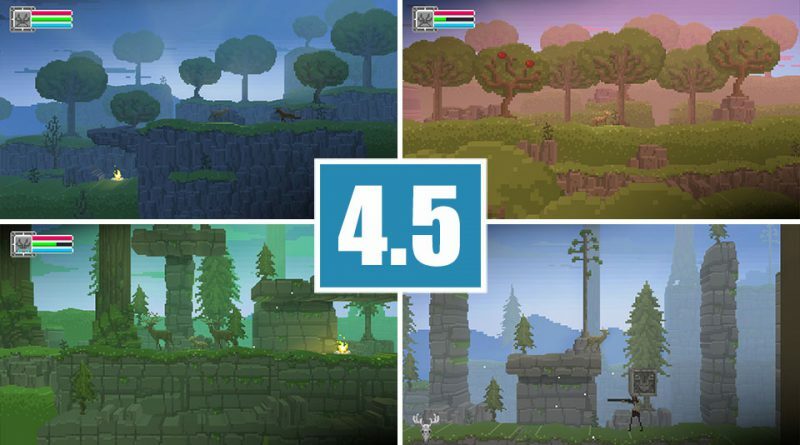 With the recent patch, technically The Deer God is more enjoyable on the PS Vita than before, but the stuttering framerate still needs to be fixed. What probably won’t get fixed is the annoying hunger meter which leads to many frustrating deaths. 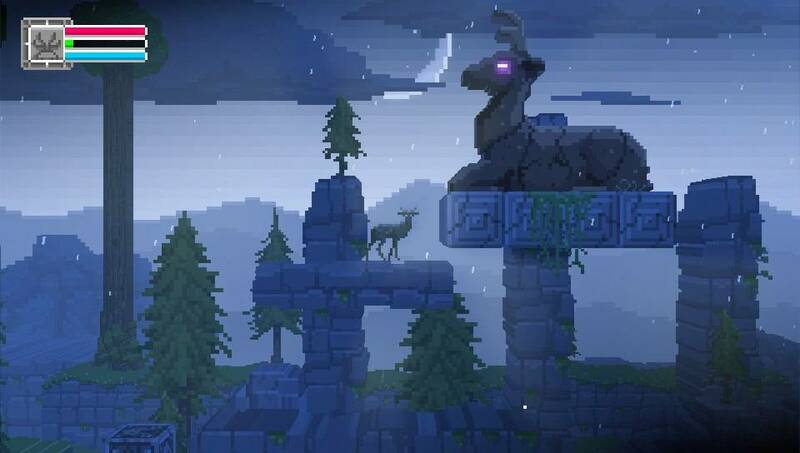 If you are looking for a platformer with a different setting and story, The Deer God might be for you. But take in mind that it’s technically not the best game on the PS Vita and that it also can get annoying. Update April 25, 2017: Blowfish Studios told us that they will patch the technical issues that are mentioned in our review as soon as possible. We will update our review once the patch is available. Update June 22, 2017: With the released patch Version 1.02, we have udpated our review and changed the score from 3.5 to 4.5.